Download the 30-Day Trial Version of RedHorse CRM to install on your computer and test. 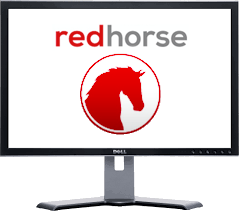 We recommend you take a Test Drive of RedHorse, which requires no installation, before installing the trial verison! Please enter your contact information below. Then click Submit to send a message to us. You must enter a valid email address. If you do not enter a valid email address, you will not receive a license number and you will not be able to run the demo! After submitting, you will be emailed a license number for the demo within 24 hours.